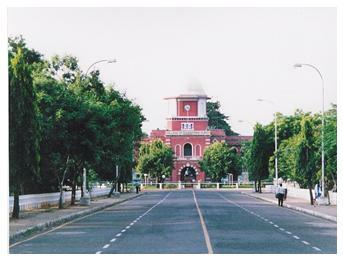 The College of Engineering, Guindy, Chennai, is one of the four colleges that come under the Anna University. It was started in May 1794 as a School of Survey with only 8 boys as students. It went on to be established as a college under the Madras University in 1859. It is the oldest technical institute in India ranking it amongst the world’s oldest technical institute. In 1894 the institute introduced B.E. Degree Courses in Mechanical Engineering, Electrical Engineering in 1930, Telecommunication and Highway Engineering in 1945 and Printing Technology in 1983. The institute was the first in South India to open a Computer Centre in the year 1963.The school has over the years managed to become India’s largest technological University with over 4 lakh students under its wings. The campus is spread over an area of 150 acres having many heritage and modern buildings with the latest of facilities. The campus is also full of green environment setting which gives the feeling of healthy, young, energetic and dynamic to pursue academic, research, co-curricular and extra-curricular activities in the campus. The campus facilities are utilized by a population of about 2200 (1800 hostel residents and 400 family members of employees) and by a floating population of more than 10,000 (Day-scholars, Part-time students, Employees and other visitors), daily. Kurukshetra - the Battle of Brains, was started from 2007 by the students of CEG to conduct a National level technical festival which is multi-disciplinary in dimension. Also every year in February, CEG plays host to Techofes, an eagerly anticipated and keenly contested five-day inter-college cultural festival. During the months of January to March, various departments of the college conduct individual technical symposia. Notable among those are: Pinnacle, organized by the Department of Mechanical Engineering, Surang, , organized by the Department of Mining Engineering, Manusys, organized by the Department of Manufacturing Engineering, Indcon, organized by the Department of Industrial Engineering, aBaCUS, conducted by the Department of Computer Science, Vision, conducted by the Department of Electronics and Communication Engineering, Waves, of the School of Electrical and Electronics Engineering, Civilization, by the Civil Engineering Department, GEOHORIZON'08, organized by the Society of Geo informatics Engineers, Imprint conducted by Department of Printing Technology, and Colloquium conducted by the department of Mathematics.